It had been eons since I last stepped into the Underwater World Singapore on Sentosa. How long ago exactly? It was back in 2006, when I was 18 months old. Well, at least I was more fortunate than di-di & mei-mei then. They haven't even visited the Underwater World at all - even though I had absolutely no recollection of my visit either. Heh. 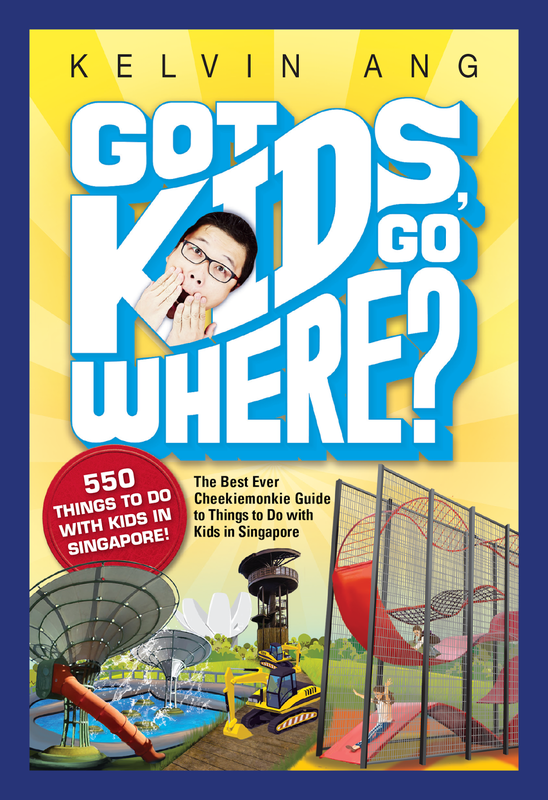 So it was great that Underwater World and Sentosa extended invites to our family to spend a weekend during this June School Holidays with all the fishes there. And we roped in Kong-kong & Por-por too for our underwater adventure! If you are heading down to Underwater World this June School Holidays, you are in luck! Because you can say hello to the newest addition to the shark family there - the Zebra Horn Sharks! 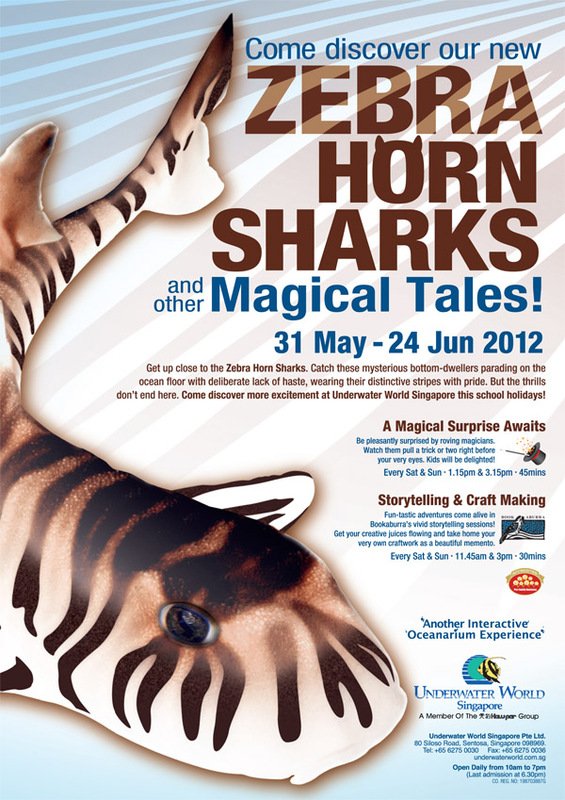 I know what you are thinking - the Zebra Horn Shark hardly fits the popular image of a shark. However, the Zebra Horn Sharks belong to one of the few groups of living sharks that have dorsal fin spines believed to be used as an anti-predator defense. What makes the Zebra Horn Sharks stand out from the rest of the other horn sharks is the Zebra-like vertical stripes across their body. And although they do not have the physique of the great white sharks, the Zebra Horn Sharks possess a set of compressed teeth which can crush and grind even shelled prey. Well, at least that was what I learnt from the kor-kor and jie-jie there who were manning the exihibit. 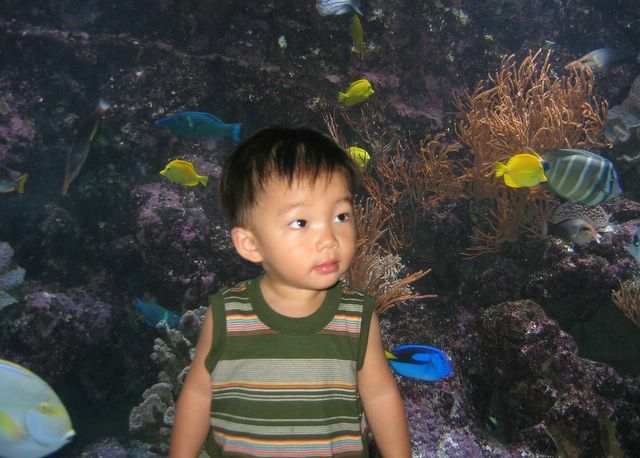 As for mei-mei, she was more deeply taken in by the huge aquarium of fishes nearby. She even asked Daddy to snap a photo of her, with the aquarium in the background! 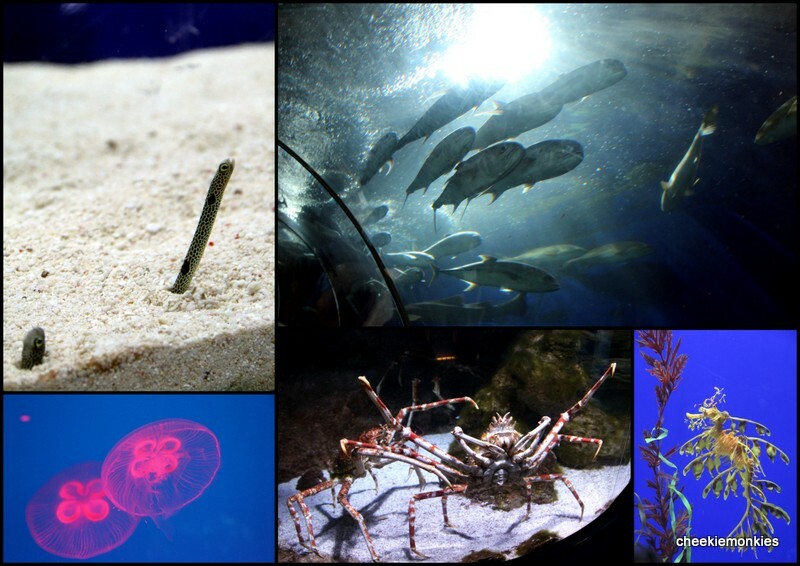 I, on the other hand, was fascinated with the Living Fossils exhibit where the marine creatures were said to resemble closely to their ancestors that appeared hundreds of millions of years ago. And it was also here that another programme that Underwater World Singapore is specially organising for the June School Holidays is taking place - Storytelling sessions! Storyteller Denise Tan of Bookaburra Books was there to share a few stories with us children. And that was not all, we also got a chance to work our hands during the eco-crafts lesson where we used recycled materials to create our very own scary shark. How do our chomping sharkys -which were made from wooden clothes pegs- look? We continued with our underwater exploration after that, as we sought out more funny-looking sea creatures. Like this gigantic crab that, erm... mei-mei wasn't too particularly fond of I think. But what she was fond of was the long conveyor belt that transported us beneath the ocean, with many types of sea animals swimming over our heads. And for once, the roles were reversed for we are like sushi on a conveyor belt with the sharks looking down at us menacingly. Haha. All the talk about sushi made us hungry, and we headed out for a quick lunch before going back to the Pink Dolphin Lagoon to catch the Dolphin show at 2pm. And my, how the Dolphin Lagoon has changed! Daddy & Mummy had remembered it to be quite different since the last time we were here in 2006. At that time, we were seated on chairs placed on sand under makeshift tentages and Daddy remembered we didn't even stay on for the entire show then because it got pretty hot. Now, the entire place was an amphitheatre with proper seating and shelter. 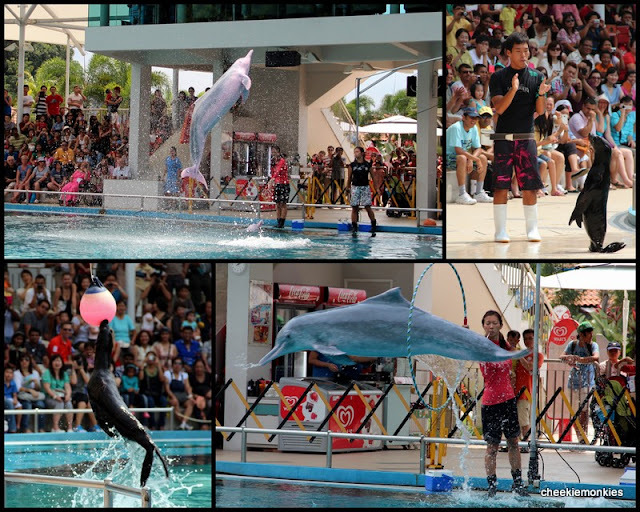 But of course, the stars of the shows are still the sealions and pink dolphins! Needless to say, mei-mei, di-di & I enjoyed the antics of the sea animals tremendously. Mei-mei was even clapping enthusiastically at every stunt that the animals attempted. Talk about being truly participating. Thanks once again, to Underwater World Singapore and Sentosa for having us. Catch all these and more at Underwater World Singapore's June holidays special weekend programme from 31 May to 24 June 2012. Besides the Storytelling and Craft-making sessions (Weekends only) at 11.45am & 3pm, there will be roving magic acts every weekend too at 1.15pm & 3.15pm!